This Franklite Decima 2 light twin wall light in satin nickel finish with opal white glass shades is simple and elegant, with circular 9.5cm wall mount and straight arms supporting upward facing opal white glass cylinder shades. A subtle design that can be fitted with the shades facing up or down and looks fantastic on any wall in both modern and traditional settings. 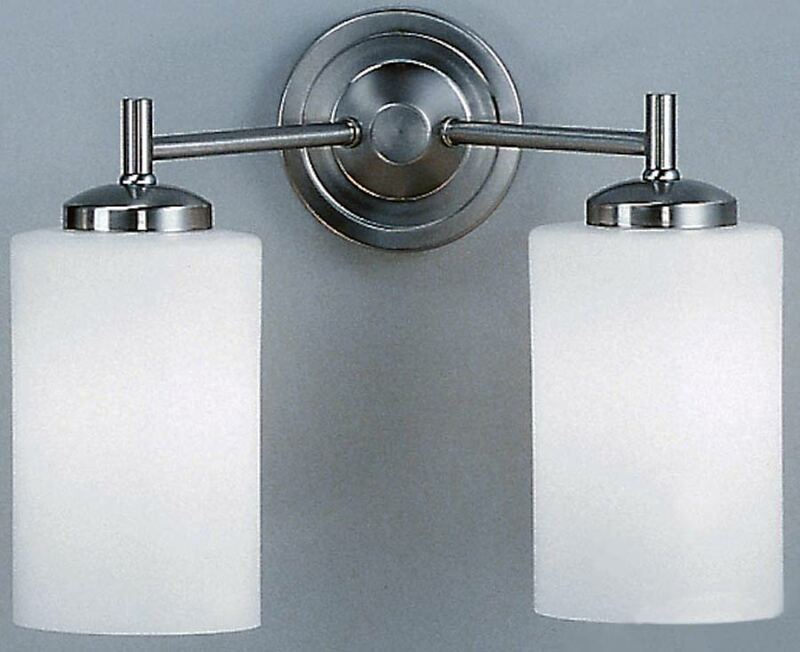 There are matching fittings available in the Decima satin nickel finish lighting range, please see below. Also available finished in matt gold and bronze, please enter the term Decima in the search bar at the top of this page to view the complete collection. 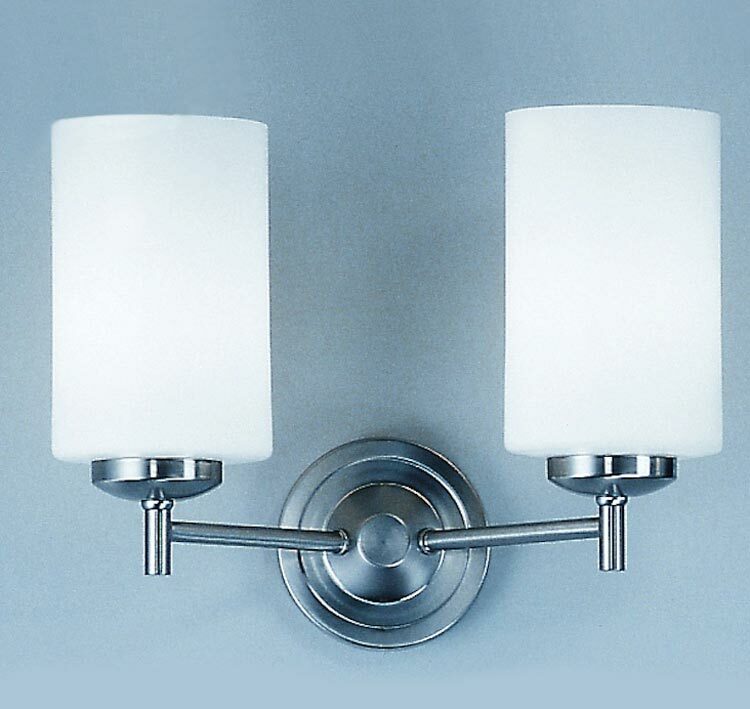 This wall light is supplied by Franklite Lighting who have been one of the pioneers in the design, manufacture and distribution of high quality lighting such as the Decima 2 light twin wall light in satin nickel finish with opal white glass shades you see here.